With the round of 16 kicking off this weekend, fans from all over the world are looking for ways to stay connected to their favorite teams. It can be difficult to block enough time off to sit down and watch the matches on TV, especially since most North-Americans have to deal with a substantial time difference. That’s why we’ve made a list of five ways you can stay in the loop while you’re on the go. This app is available for both Apple and Android and allows users to select their favorite teams and players that they want to follow. Users can look at statistics, see results, watch highlight clips and even purchase game tickets through the application. There’s also news stories included about the tournament and predictions for upcoming matches. While you can’t stream games through this app in real-time, it’s a good place to go to get lots of information about a team. 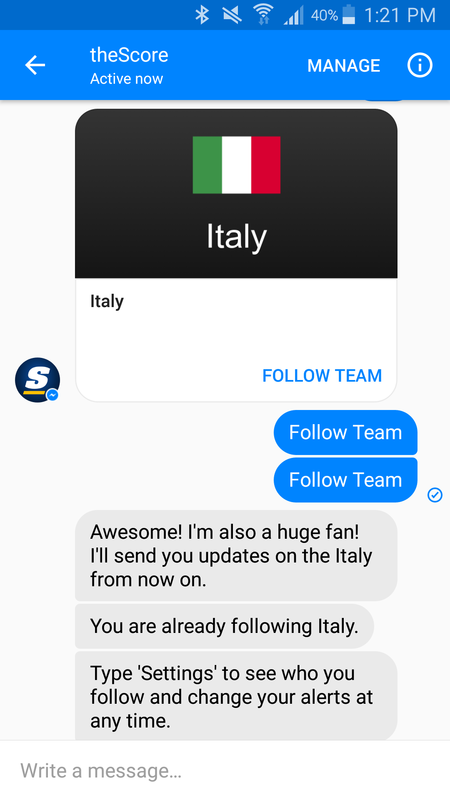 TheScore.com launched its chatbot in early June and has enjoyed a positive response to the service so far. If fans want to receive automatic updates sent as push notifications, then this is a good option for getting the latest news. The app interface is set up inside Facebook messenger, so users simply type out which team they wish to follow (ex. England, Italy) and then confirm that they wish to receive updates. The chatbot also provides information about NFL, NBA, MLB and other soccer leagues. The Euro Live app is one of the only mobile applications that allows users to livestream games directly from a smartphone. It seems that the iOS version of this app is the only reliable one at this point, so Android users will need to stick to web-based streaming sites for now. This app is available to Rogers customers and allows them to watch live sports as well as TV shows and movies. It’s available for both Apple and Android, and users will need a MyRogers account to set up the app. Additionally, the smartphone must be connected to WiFi in order to access live content. This website streams all things soccer online, and also provides a complete broadcasting schedule for almost every country in the world. There’s a page on the site that lays out which networks will be broadcasting the games on TV in which country. It also allows users to tune into the games to watch them while they are going on. If you’re a dedicated fan who hates to miss any of the game, then this site provides full access to all Euro matches after they’ve been played. Simply go into the full matches section, and find your favorite team. The matches are broken up into halves, so the videos load more quickly. Finally, if you happen to be in the US, SlingTV might be another viable paid subscription option for you. They offer livestreams of all games, but the service is not available in Canada at this time. 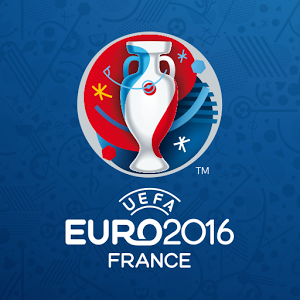 The final match for the Euro Cup will be played on July 10.